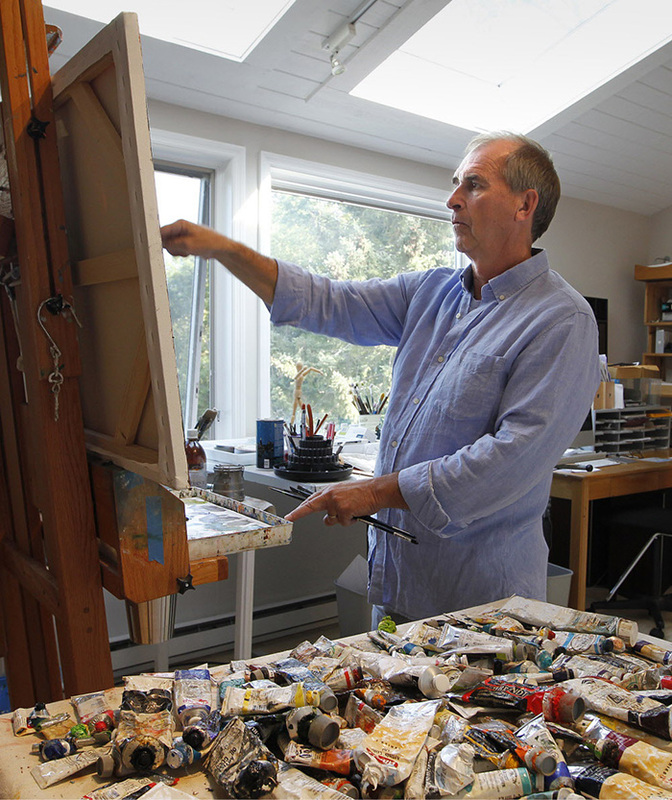 Curt Crain paints mostly in the impressionistic style – the influence of the European and American artists in the late 1840’s through the end of the century have had a great impact on the artist. Curt enjoys working thick and fast, and deals with a variety of different subjects. “I am inspired by the world around me, the beauty and grace of everyday events and objects. It’s a gift to be present, to observe and paint this life. I’m humbled and overwhelmed with joy”. Curt’s favorite subjects are boats, waterscapes, flowers, and people. Most of his work is objective, loosely painted, but with liberties taken on detail and color. Curt doesn’t overcomplicate his work, instead striving to say more with less. The paintings of Curt Crain are available for purchase and the artist is also available for commissioned work. The Curt Crain Art Gallery is available for viewing by appointment only.